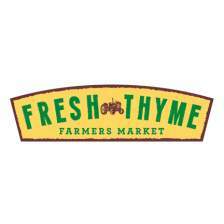 Fresh Thyme Farmers Market began supporting Vitamin Angels upon opening their first store in 2015. They hold an annual in-store campaign during the month of December, raising thousands of dollars for Vitamin Angels, with help from their loyal customers. From the very beginning, Fresh Thyme’s team has devoted their time and energy to the health and wellbeing of those in need of nutritional support in the United States and worldwide. Now, only three years later, they have opened over 60 stores and they have directly impacted the lives of over 900,000 mothers and children. Fresh Thyme understands that to make a difference, all you need is the conviction and strength to begin. In order to have successful and growing impact, Fresh Thyme makes a 10 cents donation for every bottle of private label vitamins or herbs sold year-round. In addition, Fresh Thyme celebrates the holiday season by dedicating the month of December to Vitamin Angels in their stores. With playful signage and beautifully decorated end-cap displays, shoppers are encouraged to purchase products from companies who are truly devoted to the Vitamin Angels cause and make a donation for every item sold. At the register, customers are given the option to round up their purchase and then walk out the door feeling empowered - touting a sticker that shares their decision to provide life-changing vitamins to children and mothers in need through their purchases and at register donations alike. Because of the heart, dedication, and commitment of up-and-coming companies like Fresh Thyme Farmers Market, Vitamin Angels is able to not only continue our powerful work but grow our network of 1200 partner organizations in 70 countries worldwide.